One of our Frequently Asked Questions is “What can micro-batteries, with capacities below 1 mAh, actually power?”. 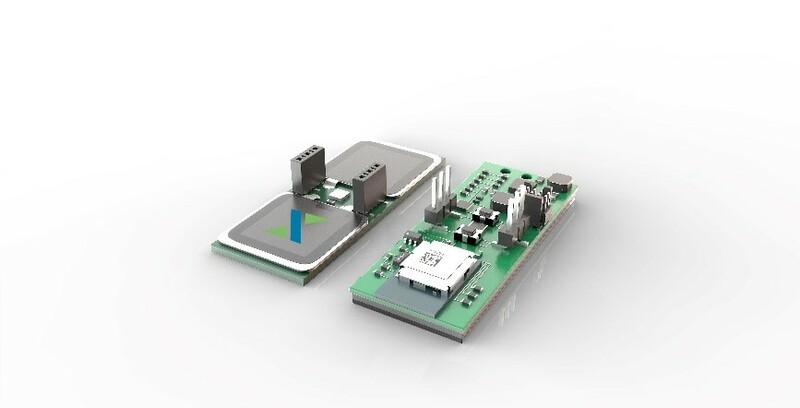 The answer comes from the careful calculations of the energy budget, the use of now commercially-available ultra-low power components and the combination of solid state batteries with efficient energy harvesters. In a previous video, I have demonstrated how 180 µAh solid state batteries could operate an industrial-type temperature sensor beacons in hostile environments. In this blog, I am explaining how this was made. The photographs below give an impression of how small the device is. 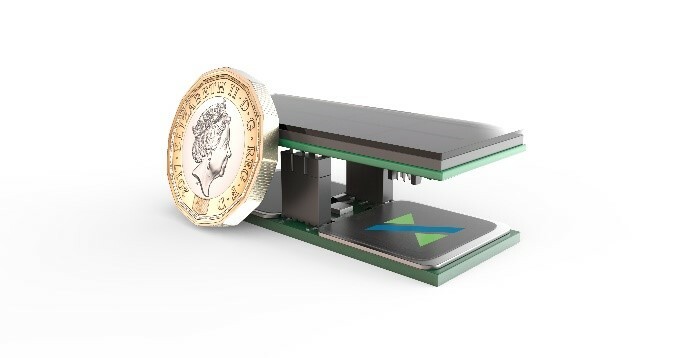 It is powered by a combination of solar cells from the UK company Lightricity which are particularly efficient indoors, with one or two Stereax P180 (depending on the use case), 180 µAh solid state batteries. These batteries are particularly efficient when operated at high temperatures. In fact they can operate up to 150°C. The BLE module and sensor circuitry is only powered during the measure/transmit cycle shown above. 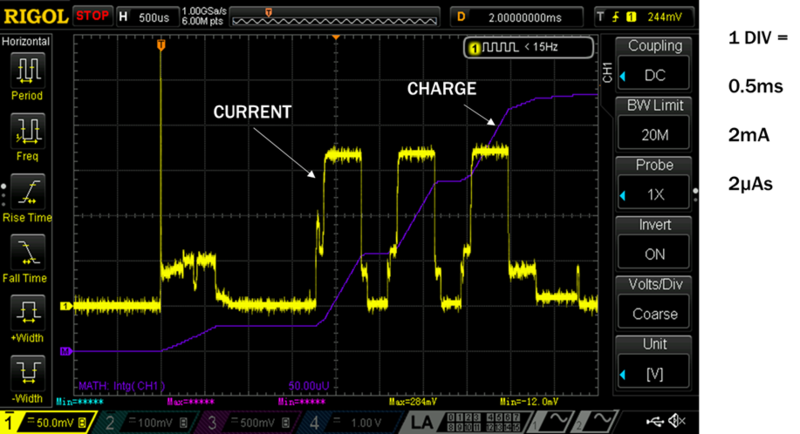 This takes approximately 550 ms. For the remaining time, a constant current drain of approximately 1 µA has been measured. This is primarily comprised of the PMIC operating current and the battery reservoir capacitor leakage current. This current drain is equivalent to 1µAh per hour, producing the equivalent of a 10% reduction in battery capacity in 25 hours which equates to a 10% reduction in run time. Of course, these calculations vary with the use case (for example if transmission intervals are increased or decreased). Altogether though, I think that this shows a realistic demonstration of what a sub-mAh solid state battery can do! Stay tuned for our next video, showing how we have implemented these high temperature sensor beacons in Ilika’s own lab for predictive maintenance of our own pieces of equipment.